← Warhawk Book Talks – Jan. This documentary by veteran Canadian filmmaker Kami Chisholm describes the grassroots origins of LGBTQ pride and details how corporate sponsors turned it into a feel-good brand and blunted its radical political edge, creating the depoliticized PRIDE spectacles of today. These events project an image of tolerance and equality, instead of calling attention to the relationship between normative identity, power, and sexual repression that still exists today. Chisholm draws on the insights of activists, artists, and educators to make a compelling case for returning to the beginnings of the LGBTQ rights movement. 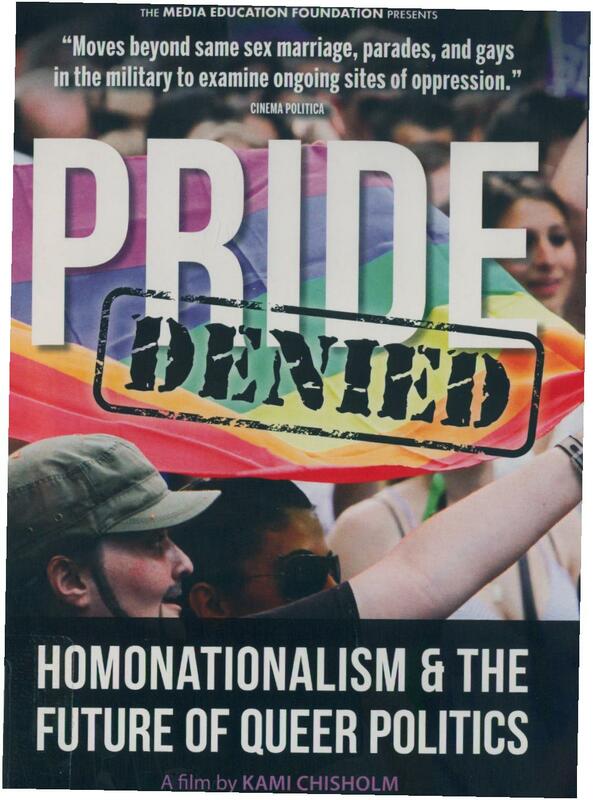 Filmed primarily during WorldPride in Toronto in 2014. This entry was posted in new stuff tuesdays and tagged bisexuals, documentatirs, films, gays, lesbians, lgbtq, new stuff, queers, transgendered. Bookmark the permalink.